Heat the oven (with the oven rack in the middle) to 350°F. Line a sheet pan with parchment. 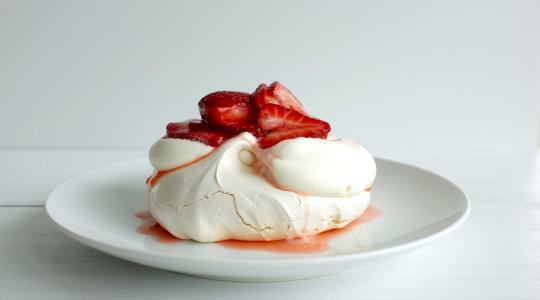 For the pavlova, in a large bowl or the bowl of a stand mixer, use an electric mixer on medium-high speed to beat the egg whites until foamy soft peaks form, about 2 minutes. 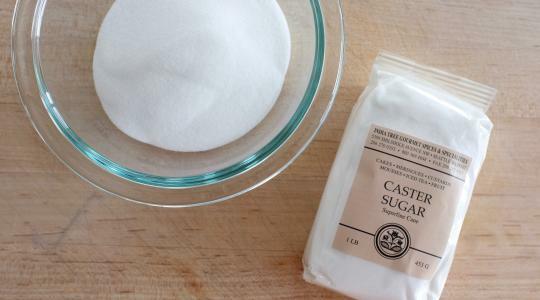 With the mixer still on medium-high speed, add the sugar 1 tablespoon at a time. 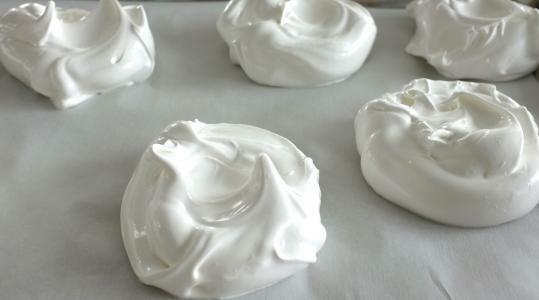 After that, beat for 5 minutes more until the meringue is thick and glossy. 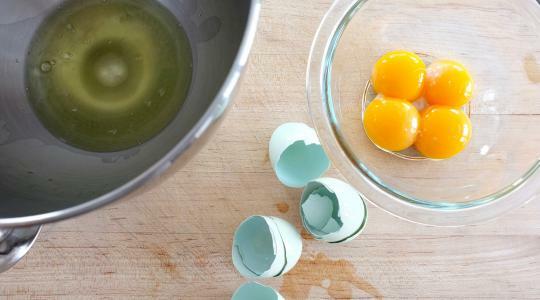 With the mixer on low speed, add the vanilla, vinegar, and cornstarch. Turn the mixer up to medium speed and beat for 1 minute more. Dividing evenly, spoon 6 mounds of meringue onto the prepared pan, spacing them evenly apart. Gently flatten the tops and make a shallow divot in the middle. Slide the pan into the oven and immediately reduce the temperature to 275°F. Bake for 1 hour, or until dry and crisp to the touch (it will have a marshmallow-y center). 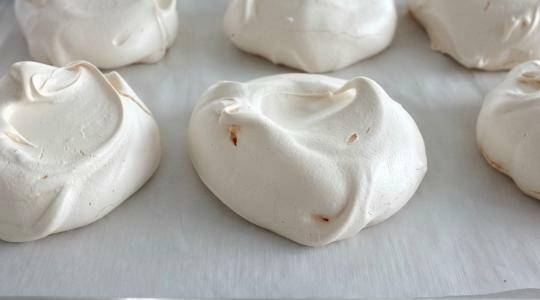 Turn the oven off and let the meringues cool in the oven (leave the door open). 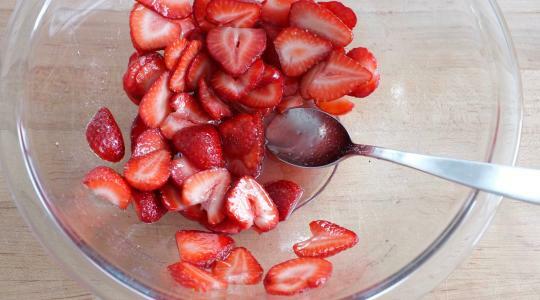 For the strawberries, slice the strawberries and put them into a medium bowl. Add the sugar and lemon juice and stir to coat. Let marinate for at least 20 minutes. 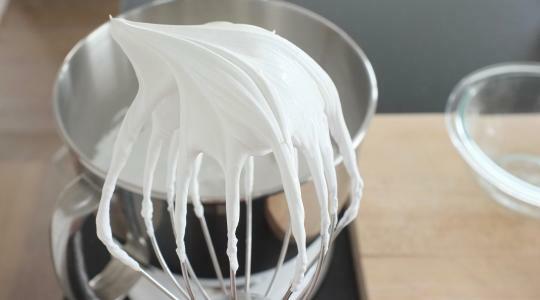 For the whipped cream, pour the cream into a bowl and add the confectioners’s sugar. 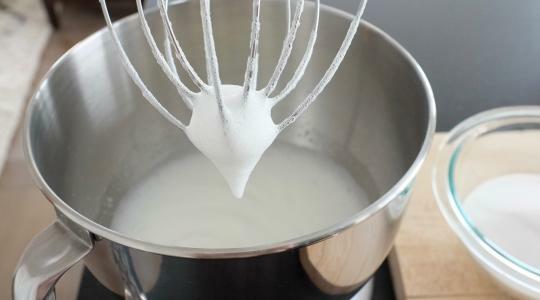 Use and electric mixer on medium-high speed to beat until soft peaks form. 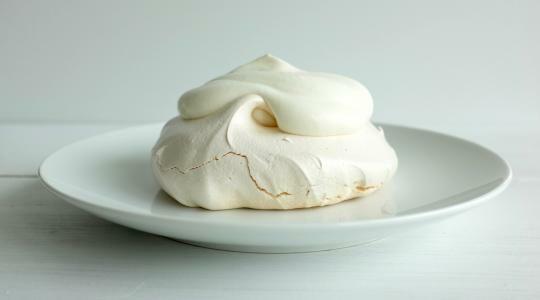 Divide the meringues among plates. 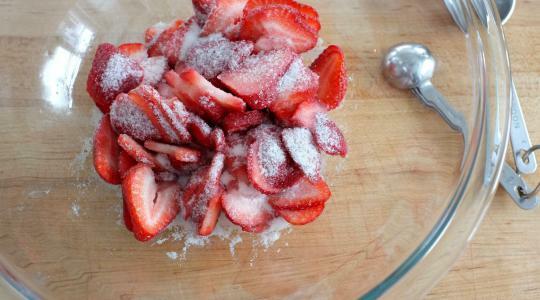 Top each with the whipped cream and strawberries (and their juices).